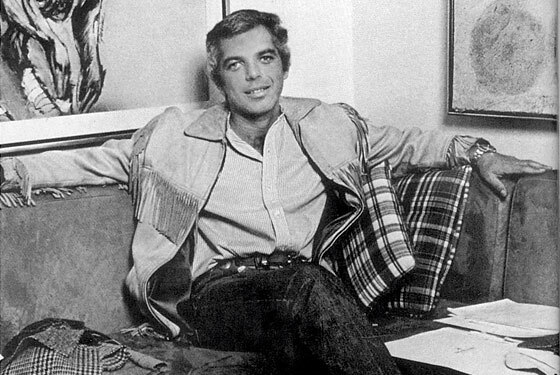 Ralph Lauren was born in The Bronx, New York City, to Ashkenazi Jewish immigrants, Frieda (Cutler) and Frank Lifshitz, an artist and house painter, from Pinsk, Belarus. He is the youngest of four siblings —two brothers and one sister. Lauren attended day school followed by MTA (now known as the Marsha Stern Talmudical Academy), before eventually graduating from DeWitt Clinton High School in 1957. He went to Baruch College, at the City University of New York (CUNY) where he studied business, although he dropped out after two years. 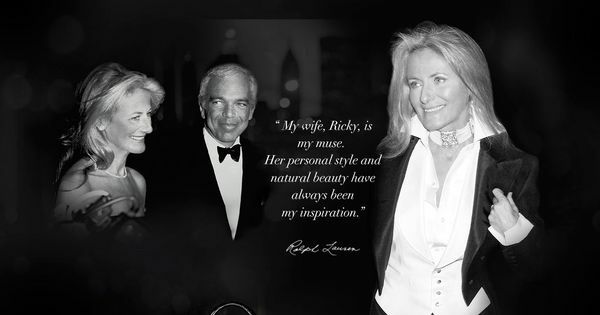 “MY 50TH ANNIVERSARY COLLECTION IS INSPIRED BY THE TIMELESS HEROINE WHO THRIVES ON ORIGINALITY, CREATING HER OWN PERSONAL STYLE THROUGH AN ECLECTIC COMBINATION OF INFLUENCES, FROM A ROMANTIC KIND OF VINTAGE TO A BOLD, MODERN SOPHISTICATION. IN CELEBRATION OF 50 YEARS, I CELEBRATE A WOMAN’S FREEDOM OF EXPRESSION, HER STRENGTH AND INDIVIDUALITY." 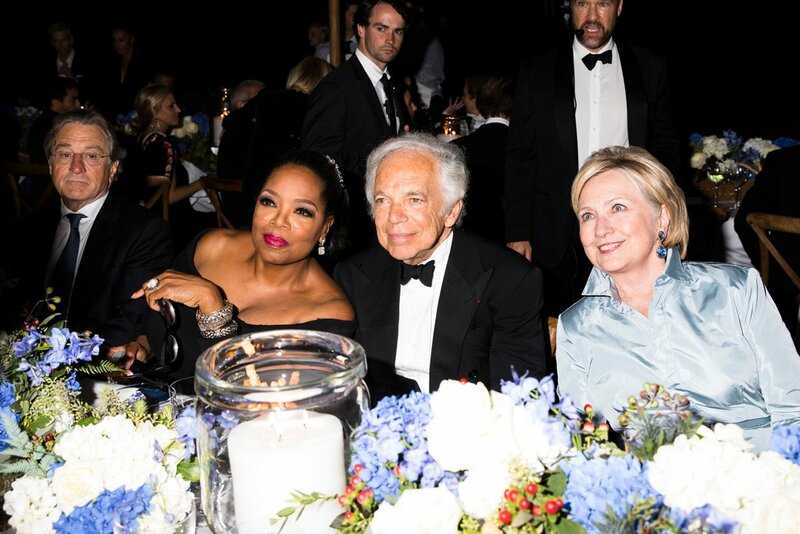 Hillary Clinton was there, in periwinkle silk, bodyguards in tow. So was Oprah Winfrey, glittering stones in her hair. 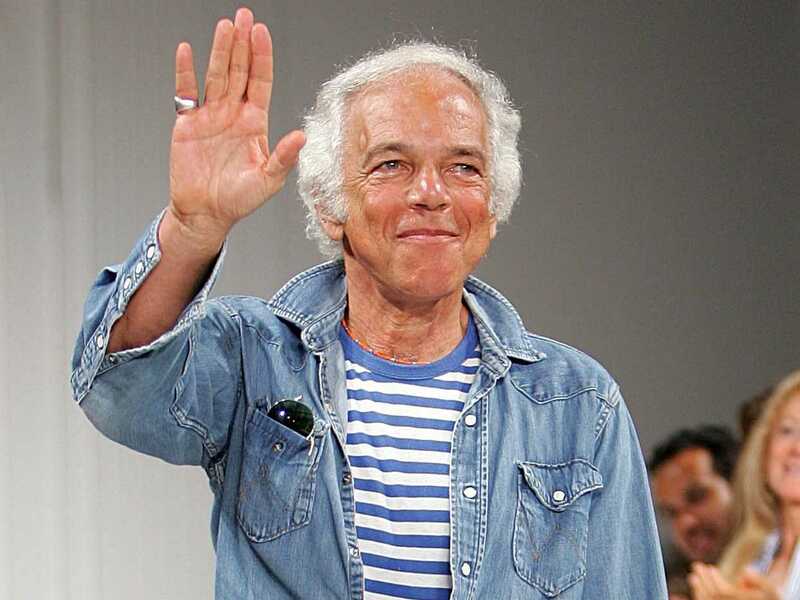 So was almost the entire American fashion establishment, old (Calvin Klein, Donna Karan, Carolina Herrera, Diane von Furstenberg) and new (Kanye). So was Spielberg. So was Schwarzman. Movie stars and power brokers rained down, but not the rain itself, though all day storm-gray clouds had lain low overhead. 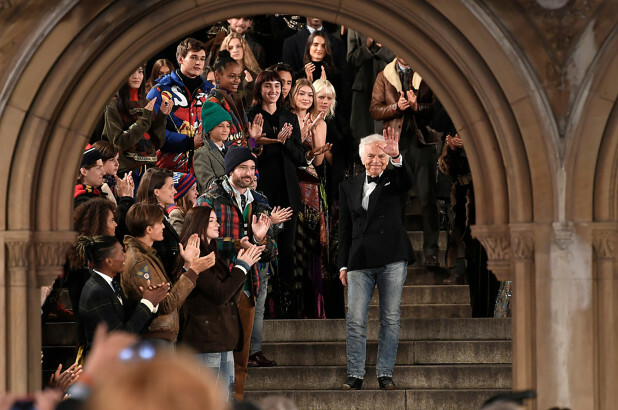 Even nature, it seemed, had decided to pay homage to Ralph Lauren and his 50 years of fashion on Friday night. And the celebration turned Central Park — and more specifically Bethesda Terrace, the graceful arched circular promenade at the heart of the park — into a space that seems increasingly elusive in the current public discourse: a cynicism-free zone. A candlelit argument for the restoring balm of, as Ms. Winfrey noted in a toast to the designer, “bedazzlement.” It is, after all, the core belief of Mr. Lauren’s career. 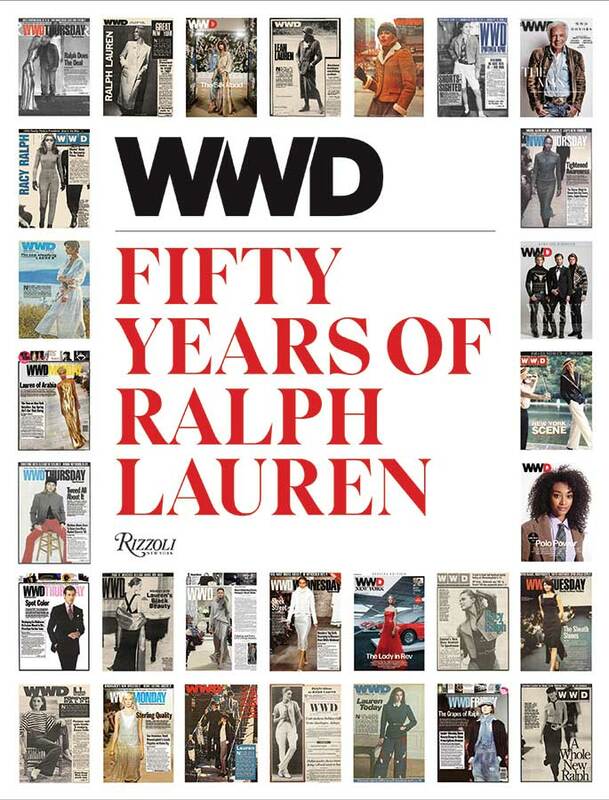 For half a century, amid an industry that places a premium on cool and edge, he has held fast to a different ideal. “I make documentary feature about America — he makes dreams about it,” said Ken Burns, the filmmaker, who has known Mr. Lauren since 1993 when they met in Telluride and who was attending his first show (wearing Ralph Lauren, like many of the guests). Such was the night itself, layered in Mr. Lauren’s mythmaking. It began on the verdant edge of 72nd Street and the park, one block up from the limestone mansion Mr. Lauren built across from the Rhinelander Mansion he already owned — retail in the guise of empire. Old fashioned street trolleys with wooden slatted seats ferried guests into the core of the park, where 17 looming LED screens played a video loop of collections past, and waiters in custom-made Ralph Lauren looks passed cocktail franks and mini pastrami sandwiches and crab cakes with the Champagne. 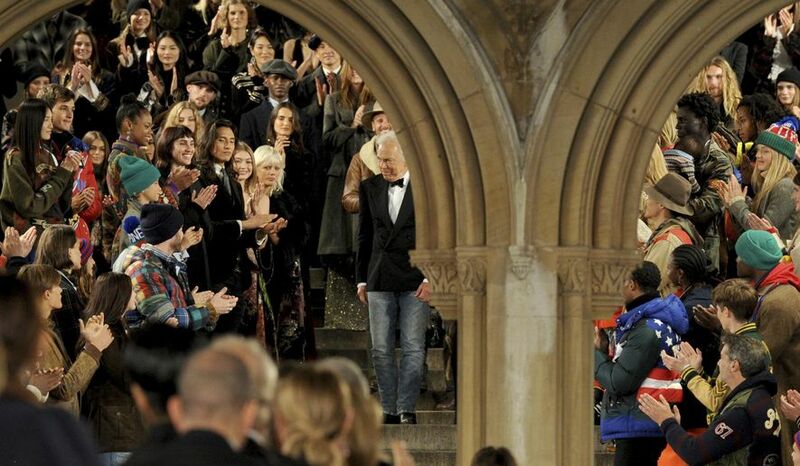 Below, the arcade under the overpass had been divided into a runway and covered with overlapping magic carpets, Persian and otherwise, and once the 500 or so guests had finally been ferried to their seats below the Minton tiled ceiling — once Anne Hathaway had stopped schmoozing with Tom Hiddleston, and everyone had congratulated Thom Browne on selling his company to Ermenegildo Zegna — models began to descend the sweeping staircase in pairs. “New York Is My Home” played as they walked. There were men and women, old and young, outfitted in Mr. Lauren’s favorite reference points: the leathers and Buffalo plaids and hardware of the American West; the micro-sequined flapper frocks and laces of Gatsby’s Eggs (East and West); the tweeds of Brideshead and the pinstripes of prohibition; paisleys and collegiate stripes and collarbone-sweeping earrings. All of it mixed together in a signature stew. 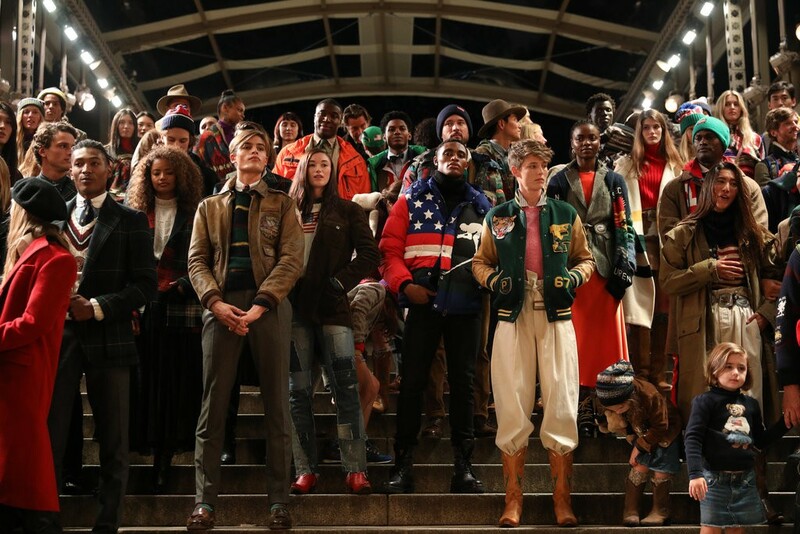 Later, an entire community of models from babies to grandparents appeared in pieces from the Polo collection, a pointed (if unspoken) ode to diversity and inclusion, in clothes as in life. There were more than 100 looks in all, but it was the haute patchwork gowns collaged together from scraps of tapestry brocade and velvet, dripping silk fringes at the seams, that summed it up best: a career as a collage of what once caught our collective imagination, refined over seasons (even if two models underage 5, playing tag at the foot of the stairs, stole the show). 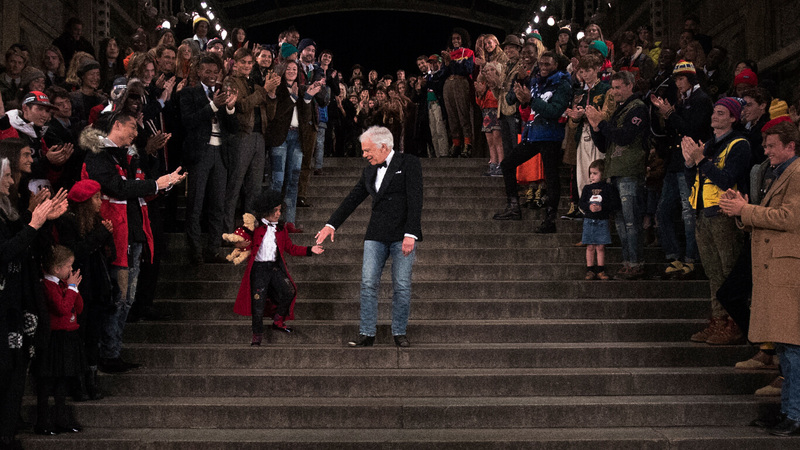 “You care about family,” she said, looking down at the designer, who was clad in his trademark tuxedo jacket, faded jeans and somewhat beat-up cowboy boots. “You care about freedom. You care about integrity. 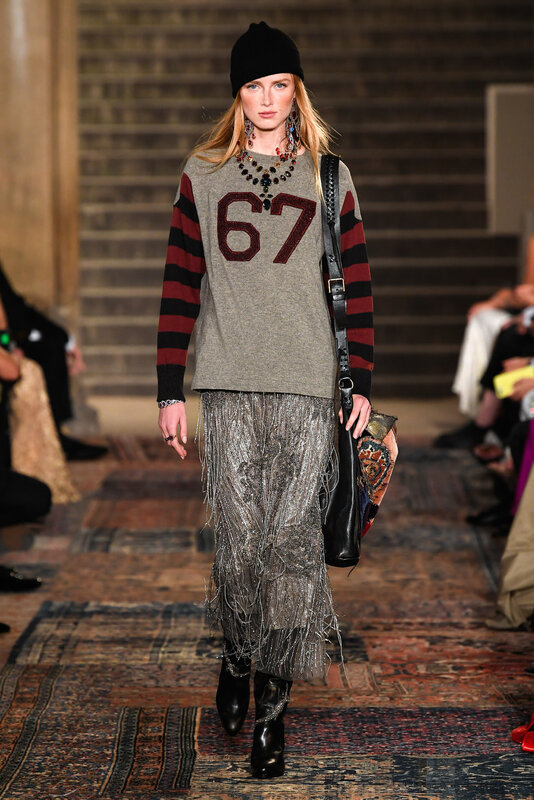 Integrity — a word we need more of.” Ironically, for a designer who never had much truck with irony, life itself has suddenly caught up to Mr. Lauren, casting his clothes and what they represent in a new light. Even if the night itself seemed somewhat unreal, even if it felt like nothing so much as the gorgeously designed end of an era. Ask not for whom the trolley bell tolls. It tolls for thee.